Thousands of tourists visit the Lake Como region each year. There are a number of hotels to choose from, you would definitely want to enjoy the best views and the most comfortable stay. It is better to know beforehand about the best hotels in the region. Built elegantly in the grandest style and located in the best spot for spending a summer vacation. The Villa has a 19th century European architecture and has a palatial feeling. Beautiful paintings, huge chandeliers, Persian carpets, golden candelabrum dangle above the staircase, a complete royal taste. A huge drawing room is surrounded by a covered terrace. The two restaurants in the hotel will serve you the best food from the region and beyond. Lake view gardens and romantic poolside will make your vacation a memorable one. This is a small hotel on the Varenna Comune, about an hour’s drive from Milan. The hotel has a jetty below the massive terrace adjoining the main building. The view of the lake is just spectacular from the terrace. Also, there is a romantic restaurant under a vine pergola in the open. The hotel was built in 1823, and maintains the charm of the bygone era. The ambience is serene and perfect for relaxing. The property has 16 bedrooms for the guests, graceful and neat. Alternately, bus service is also available to commute in the locality. Like the name ‘Nest on the Lake’ suggests, this guesthouse is erected on the proximity of water. You can have fun on the small nearby beach and use canoes and Kayaks, complimentary from the hotel. 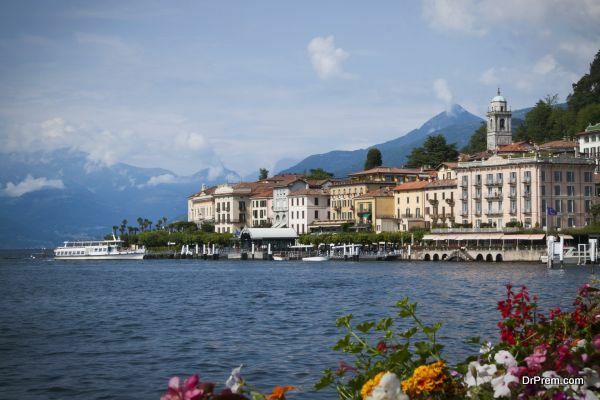 A large number of tourists flock the city of Como for the view of the Alps and the lake Como. The city offers a number of attractions including the Churches, museums, palaces, parks, theatres and gardens. The Villa Flori is close to the shore and has beautiful view from the balconies of the bedrooms. The best suite to opt for is the Gran Lago suite on the rooftop. The Raimondo restaurant is elegant and offers a variety of delicacies. The stay becomes more relaxing and worth the money, you spend if it has the best to offer. To have a memorable holiday choose a hotel wisely.